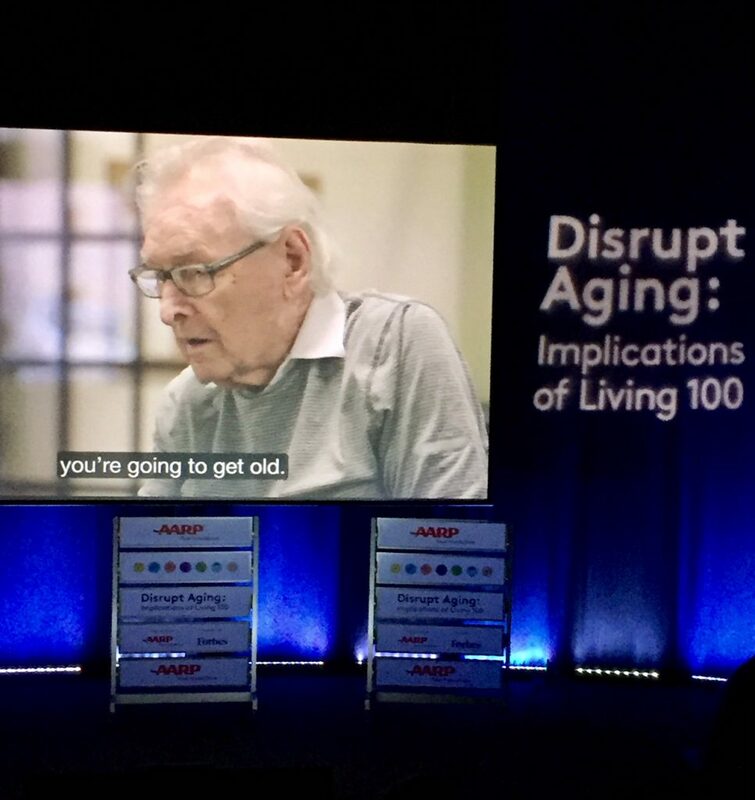 Disrupt Aging: Implications of Living 100 Forum was held at the Newseum in D.C.
♥ In 1960, 9 percent of the U.S. population was over age 65. In 2060, that number will grow to 24 percent. “You’re either going to be a caregiver or need caregiving,” said Jo Anne. Ooh, ooh, ooh, I’ll be in the ‘need caregiving’ if I live that long and will be over 100! How about you? 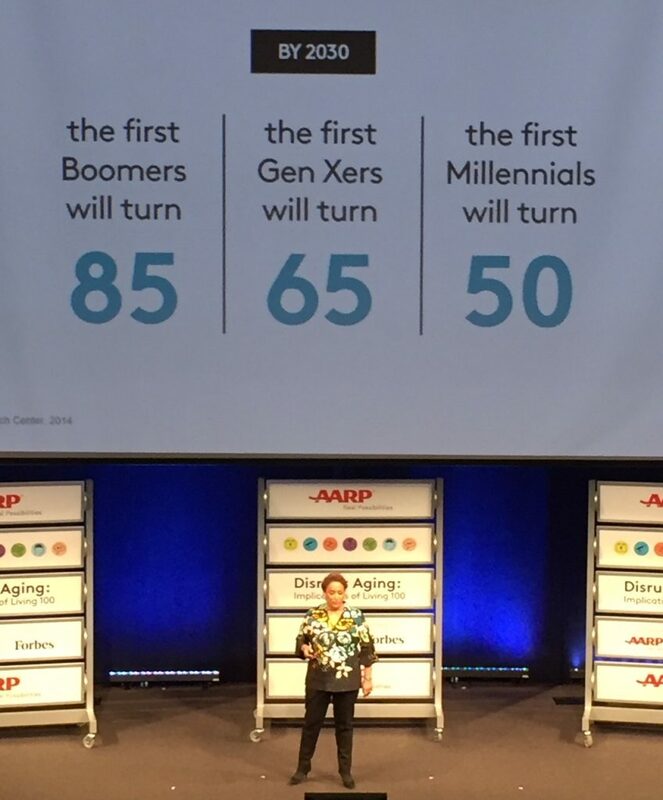 ♥ By 2030, the first Boomers will turn 85, the first Gen Xers will turn 65, and the first Millennials will turn 50. Ooh, ooh, ooh, I’ll be in my early 70s and my kids will be in their 40s. How old will you be? How old will you be in 2030? 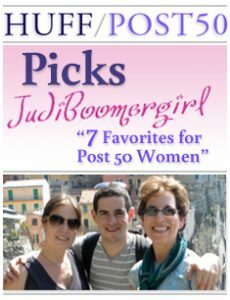 ♥ The 50 and over category is worth $15 trillion and $7.6 trillion of annual activity is done by post 50 people in the U.S. Wow-o-wow, we’re worth a lot and we’re sure active individuals! 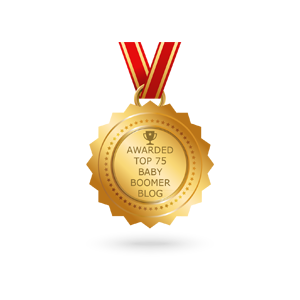 ♥ 75 percent of Boomers in the U.S. plan to work past 65, and many will have two, three and four different careers in their lifetime. Hmm, I started out as a magazine editor, then I went into public relations, then corporate communications. Now I’m a blogger and yoga instructor. Where are you on your career spectrum? Jo Anne Jenkins is the CEO of AARP. “How does the perspective of a longer life make you feel?” Jo Anne asked. 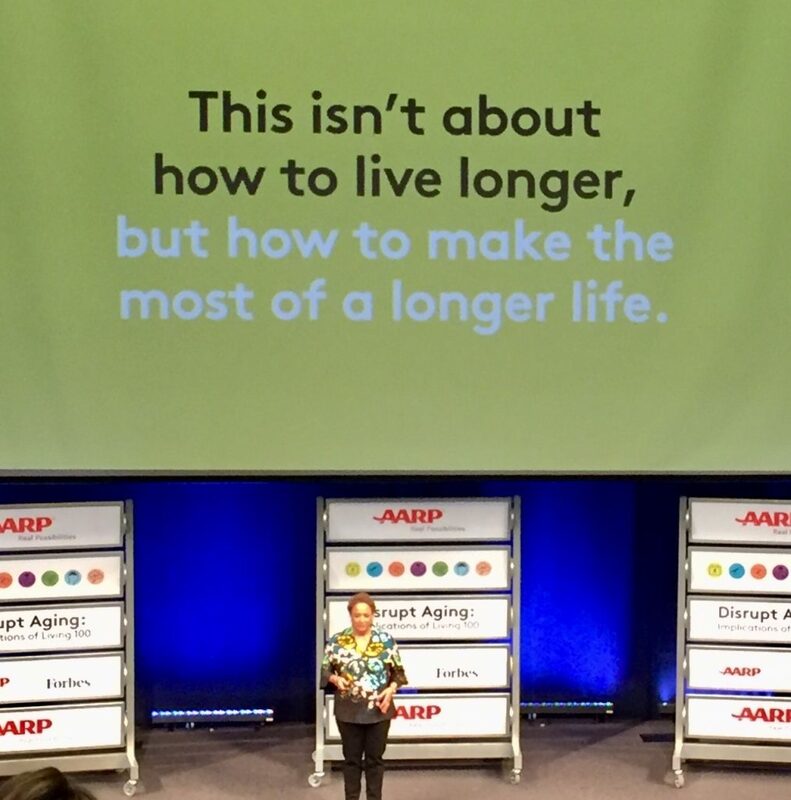 “We need to challenge the negative attitudes around aging, including behaviors, social norms, culture, and more. 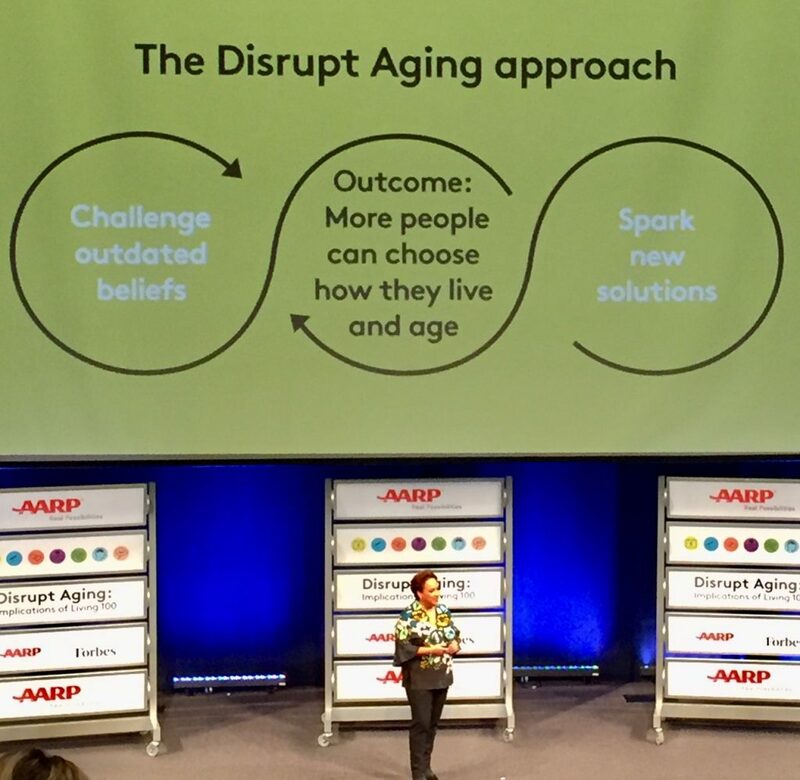 We need to disrupt aging, giving people the opportunity to look forward to it, not fear it,” she said. “It’s about – how we live – not how long we live. 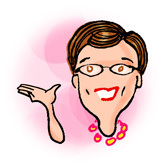 What if we didn’t have the word retirement?” Ooh, ooh, ooh, Jo Anne, can you think of another word to call retirement? I agree, I don’t like that word either! I retired from my full-time job five years ago but I don’t consider myself retired. I have so many passions I’m pursuing. 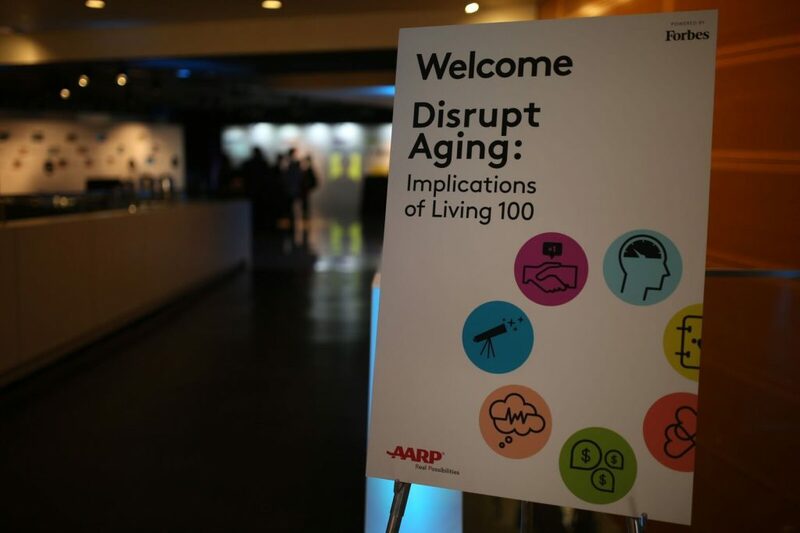 Are you ready to disrupt aging? 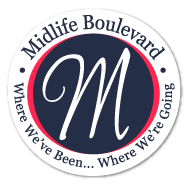 Jo Anne noted that the average age of graduation from college is 23. “What if colleges offered lifetime subscriptions?” she said. Ooh, ooh, ooh, I wish I could go back to Cornell and not have to pay so much money for a course, especially since I paid off my student loan. “Think of the concept of having more time as lifespace,” said Jo Anne. It was time to open our workbook and do some reflecting. I’ll share the question so you can reflect too. What’s one dream you have for yourself in your later years? Write out that dream in as much detail as possible. How are you going to make the most of your lifespace? 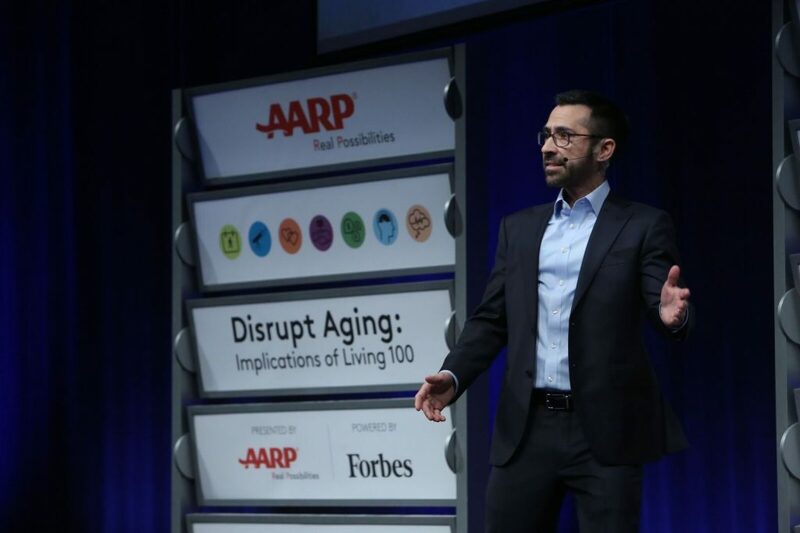 With the audience fully engaged and ready and wanting to disrupt aging, Jonathan Stevens, Senior Vice President, Thought Leadership, AARP, took the stage to share powerful data and trends in longevity over the past century. AARP’s Jonathan Stevens shared longevity trends. “What’s past is prologue,” Jonathan said quoting Shakespeare, “The past sets the context for the present.” He spoke about how over the last century, life expectancy has practically doubled, citing such changes as environmental improvements with cleaner water and cleaner air, penicillin and vaccines to treat disease, increased education with more access to universities, seat belts to reduce car deaths, and “smoke-free zones” to reduce exposure to second-hand smoke, as contributors to longer life. Referencing The Industrial Revolution from 1850 to 1950, Jonathan said, “Over the 100 years, life expectancy saw a 2.5 year increase every decade.” For example, according to CDC records life expectancy at birth in the U.S. between 1850 and 1880—ranged between 38.3 and 44.0 years (for both sexes combined) and increased to 68 in 1950. “Despite occasional setbacks we have continued on a path to longer life,” said Jonathan. Children today could live to 100 and beyond. “We can project from the past into the future,” said Jonathan, as he speculated that by 2070 that number could reach 100 as long as we continue to invest in health, education and medical research. After all those stunning statistics, we were asked to reflect. 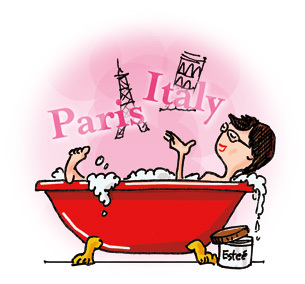 Do you want to join me? 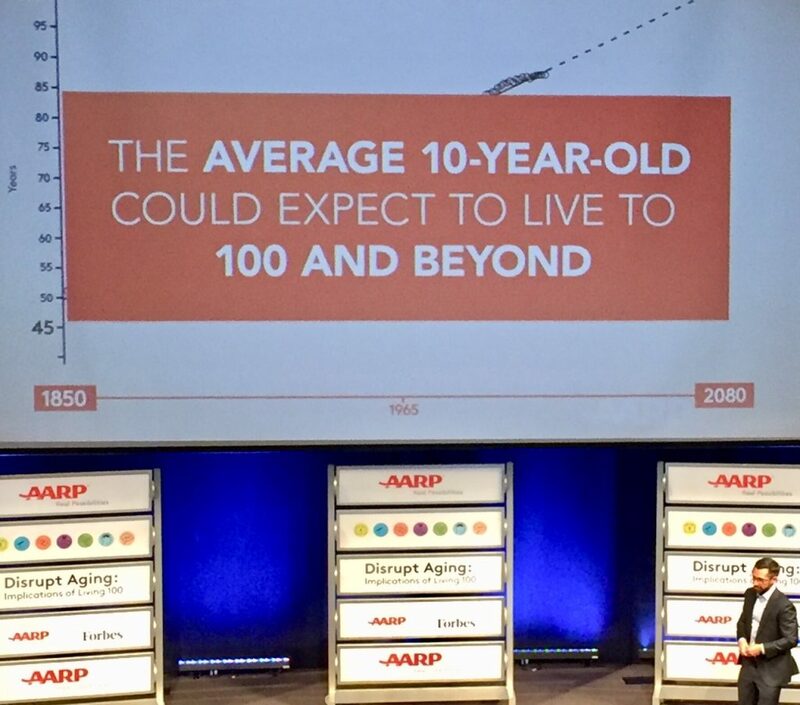 If you knew you’d live to 100, what changes would you make to your life now? To what degree would you change your approach to your career and how you earn, your education and how you learn, and your social life and how you connect with others? Would you not change your approach? Would you slightly tweak it? Would you do a radical change? Or, do you not know? Ike is 107 and is still active. His daughter is 82! Ooh, ooh, ooh, that was deep and heavy stuff. ♥ Changing our approach to health from Vivek H. Murthy, MD, 19th Surgeon General of the United States and Cheryl E. Woodson, MD, Geriatrician. 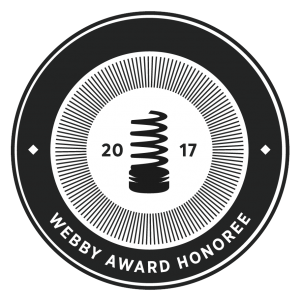 Meantime, leave a comment and let me know how those reflections are going. 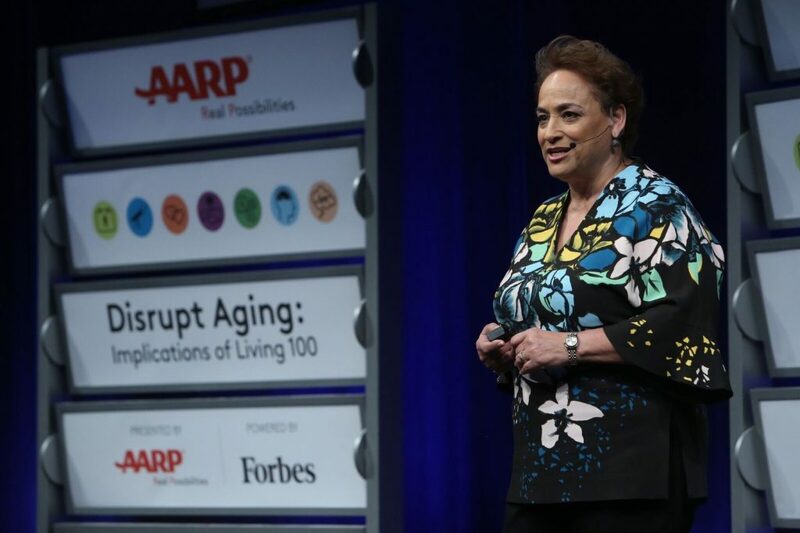 Also enter the Rafflecopter Giveaway below for a copy of Jo Ann Jenkins bestseller, Disrupt Aging. I have a copy of the book, but I wanted to say this is a great recap. There was so much juicy food for thought, I am still digesting it all. So sorry we didn’t connect in DC. Next time! Margot, yes there was so much to take in. That’s why I decided to write a few posts.